Billy Idol is a punk rock star from the 1980's. He is most famous for his song and music video White Wedding. This is a great song to learn on the guitar. 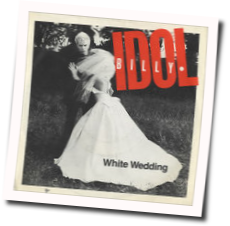 Play White Wedding by Billy Idol on the guitar and you will feel good about yourself. Click here to view previously featured tabs. Korn On Verge of Break-Up? Pop-Punk Bands The New Boy Bands?